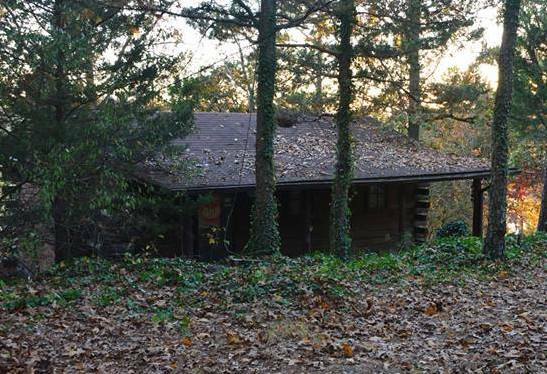 Come after work: located one hour south of Downtown STL. Real books and music stands provided. Small band owned PA system provided, bring a cable to plug-in if not bringing own amp. No instruments provided- bring your own. Music will be chosen on the spot. No RSVP needed, you can just show up: Use the gate 2nd from the right. Push the button or tell the guard you’re there to see the Sheehan's and give the address. If no one is there or no one answers pull out of the way and call Ryan at 314-608-5721. Let Ryan know in advance if you'd like to take the pedal boat out for a ride or come early to enjoy the community pool. Include any non-playing guests in this count. Got it. You’ll receive a e-mail confirmation shortly. Note: the cabin is in a gated community. To get in: If a gate isn’t open use the gate on the left, push the call button & tell them you are there to see the Sheehan’s at 12520 Hill Rd. If you have any trouble call Ryan at 314-608-5721. Please note that NO equipment will be provided. 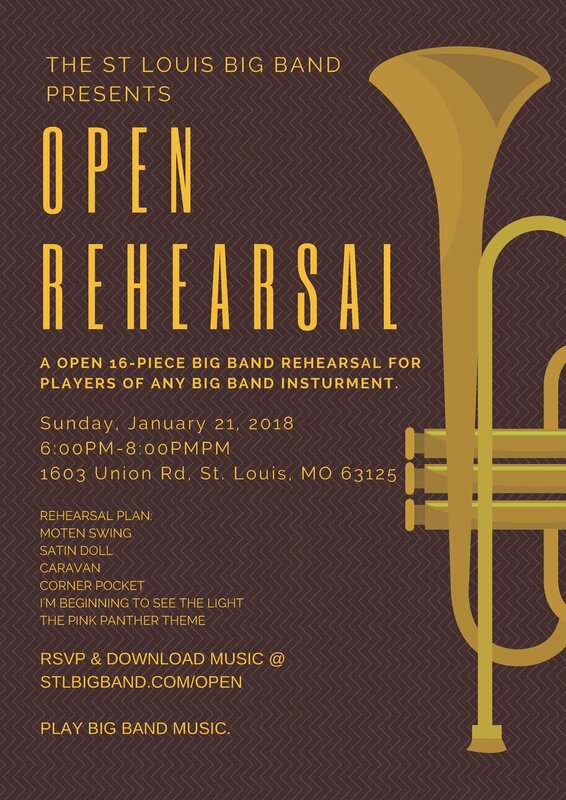 Thank you to everyone who came out on 1/21/18, the open rehearsal was a huge success!